I've been on a bit of a lip oil bender since I discovered that not all lip oils are greasy and useless. 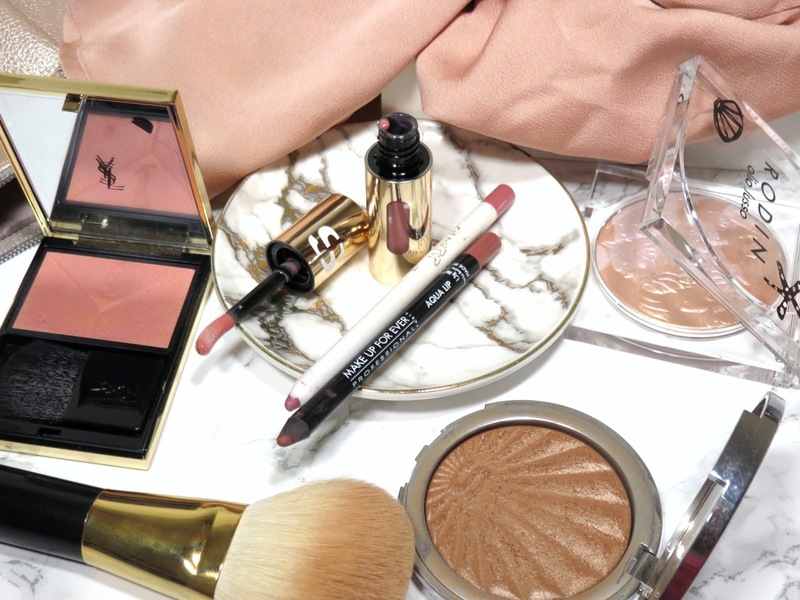 This year, I feel in love with the RODIN olio lusso Luxury Lip Oil (review here) and the Clarins Instant Light Lip Oil (review here). Both of which have a beautiful and nourishing texture and finish. 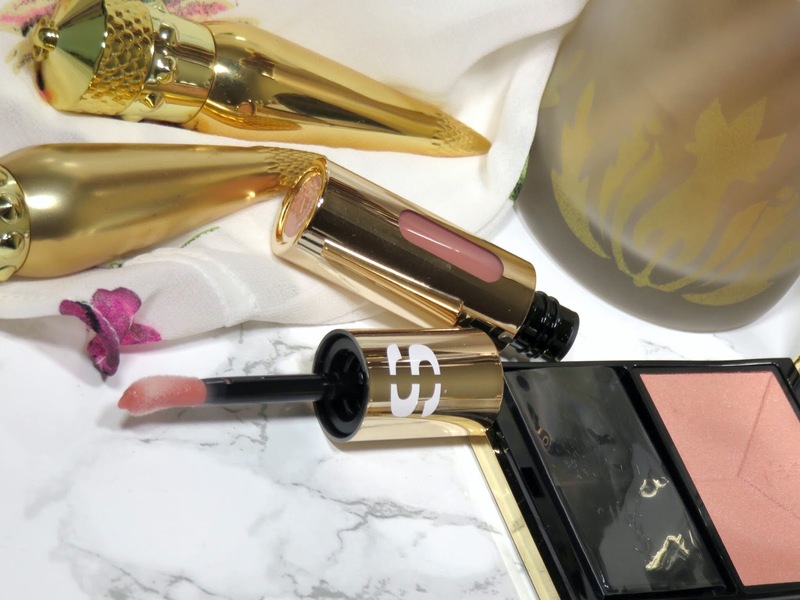 I had high hopes for this luxury lip oil from Sisley Paris and it exceeded all my expectations! Sisley Paris is not a brand often gravitate towards, I don't know why. I think it may be because their products are extortionately expensive and a lot of their products don't often attract me enough to pay the price tag. 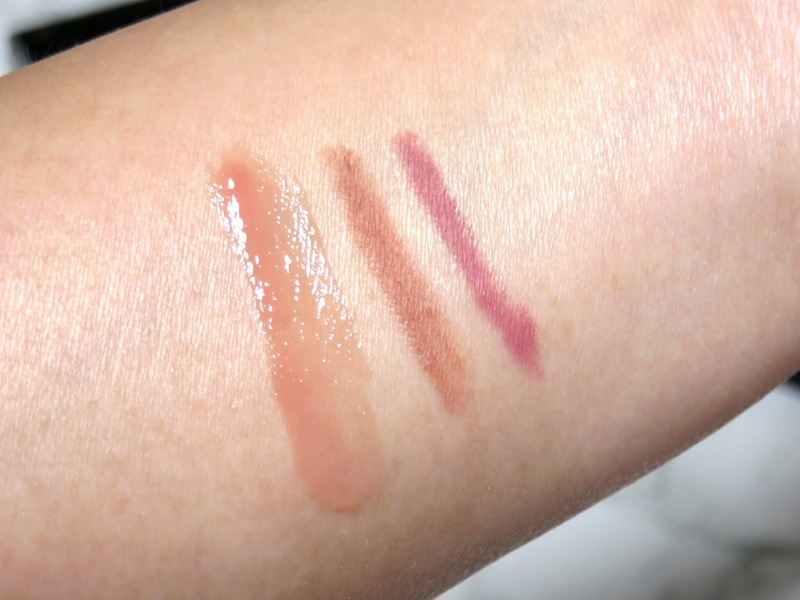 The Sisley Paris Phyto-Lip Delight Sensorial Lip Oil retails for $55.00 USD and is available at Nordstrom and other retailers. 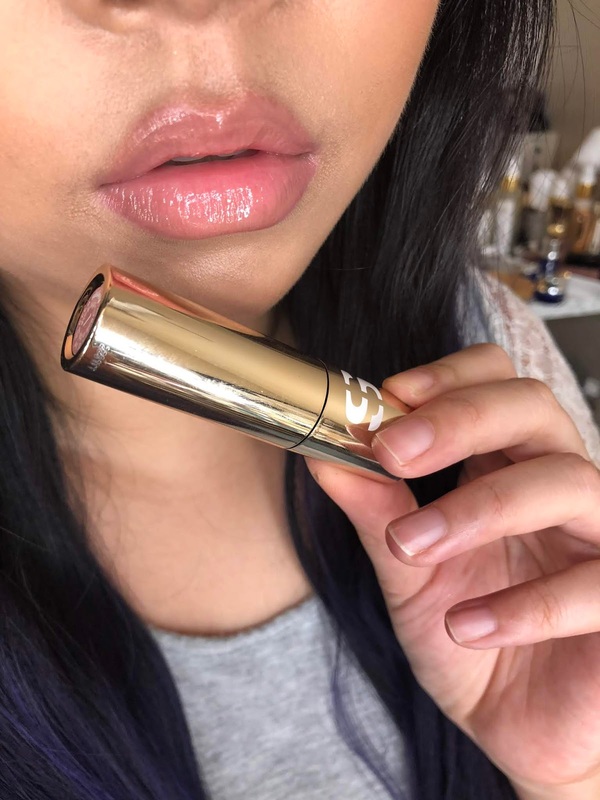 The lip oil is housed in a beautiful shiny gold tube with a little window on the side to display its color. The applicator is a long doe-foot sponge applicator, pretty typical of many lip oils. The shape is a bit different with the sponge tip tapering from the wand into a bulb like shape and it's slightly curved. This makes it very easy and comfortable for applying product. It adds to the luxurious sensation of this product. These lip oils come in 3 different shades 1 Cool, 2 Pretty, 3 Sweet. These are all quite sheer shades and I went for the sheerest shade 1 Cool, which is a very sheer beige shade. The other shades are 2 Pretty, which is a sheer pink and 3 Sweet, which is a sheer coral. Because they are all so sheer, I just went for the most neutral shade instead of the other two more pigmented shades. I figured I could use it to top my favorite lip colors or liners. On my lips, the shade Cool is practically a clear shade. It gives the tiniest hint and tint of color but other than that it look like my natural lip color. 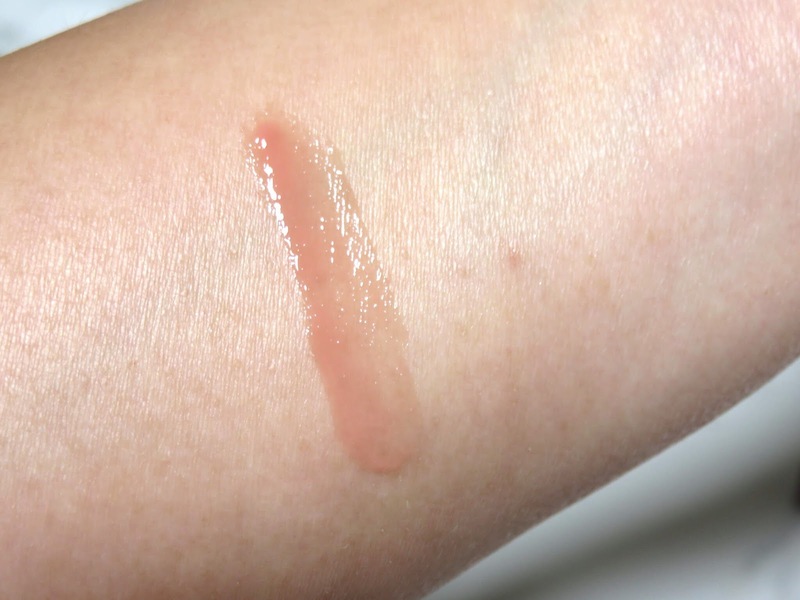 The texture is wonderful and doesn't at all remind me of a lip oil, which I love! It's a very balmy gloss texture that goes on super smooth and doesn't feel at all sticky or tacky. It feels really nourishing and after a minute you will notice your lip lines plump out! Your lips will look extremely smooth and look really hydrated. The texture is like a plush gel and feels very hydrating. Like many balmy glosses, it seems to only last from 1-3 hours depending on how much you may be eating, drinking, or talking. 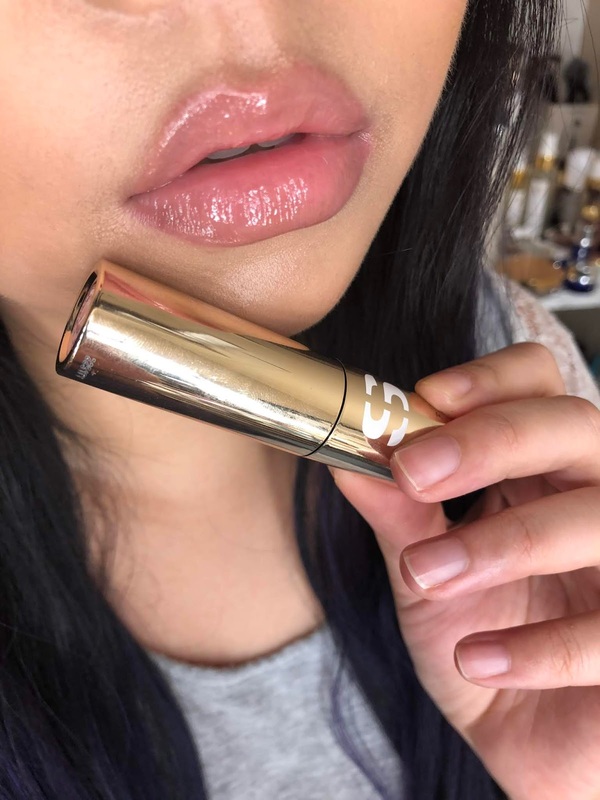 Even after it wears off, it leaves a very hydrating film on the lips that feel like a lip balm. The lip oil has a light and soft sweet floral fragrance, it is pretty subtle because I only smell it when I take an actual whiff. 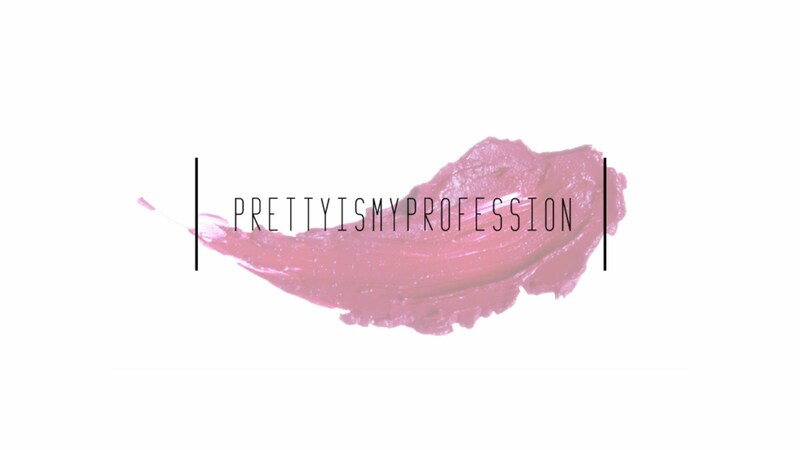 It is not as strong but can be smelled when applying the lip color, I don't find the fragrance to be too much of an issue compared to other lip products I have used. This is definitely one of those products that will live in my bag because it is easy to apply, I don't need a mirror, and it provides nice hydration. 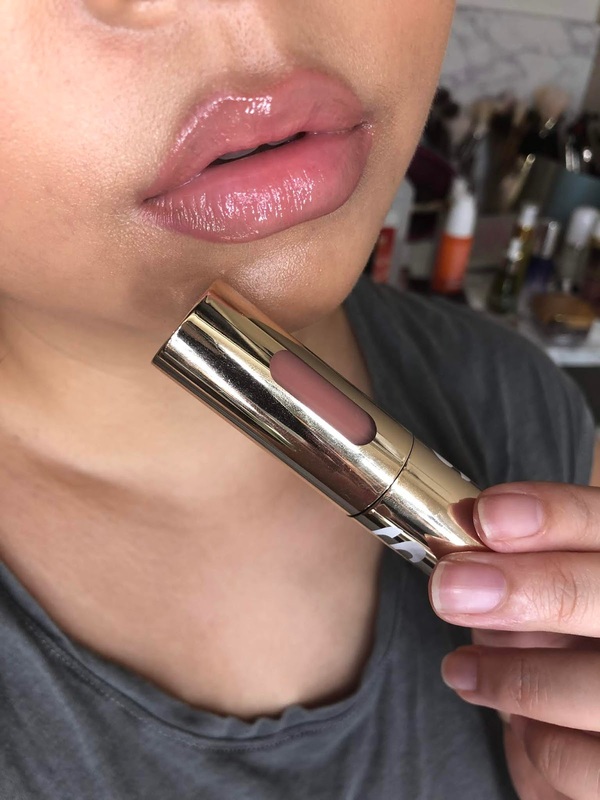 I really adore the texture of this lip product it feels incredible on your lips and it makes your lips so smooth! It is very rare I see my lips without a line in them and looking so plush. The hydration seems to last long after the product has faded and keeps my lips looking very smooth. I love applying this particular shade over lip liner for a very natural and plush look. 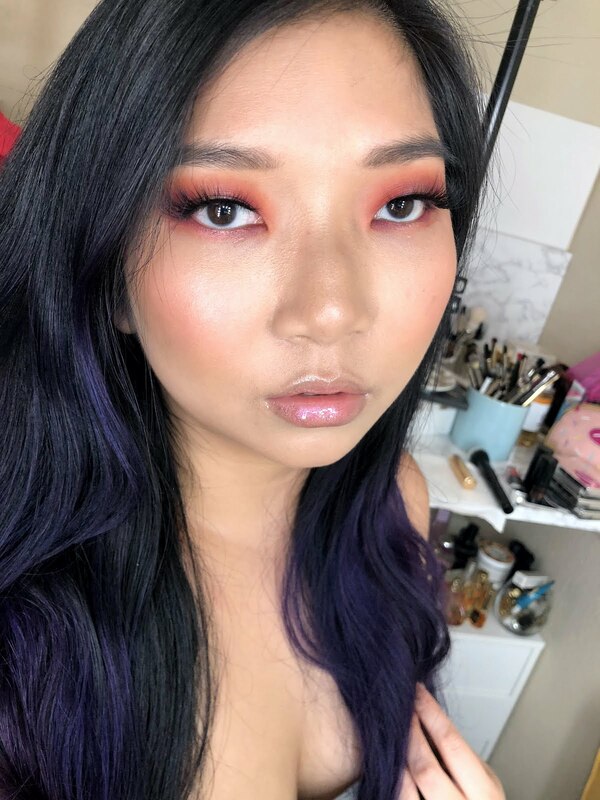 I take a medium pink liner and run it lightly over the very edge of my lip, then I take my finger and just lightly blend the line. 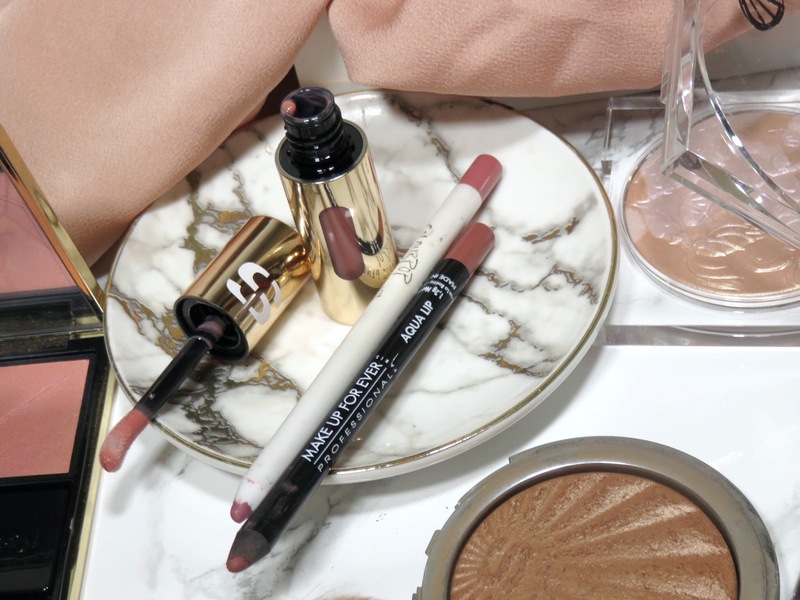 I take more of a neutral beige-pink liner and blend the line in a bit and I draw very faint line coming from the inside of my lips outward, this creates a very full and plump effect. Then I top it all with the Lip Oil for a juicy, full, and natural lip! I have to say, I am incredibly impressed and obsessed with this product! Not only is the texture incredible smooth and balmy but it so hydrating and maintains moisture for hours! This instantly feel amazing and nourishing on your lips, especially when they're feeling dry. It only takes several minutes before your lips feel so smooth and the lines start to plump out and disappear. The texture is just so silk and luxurious, I can't get over it. My lips have never felt this plush and luscious before! This lip oil has been living in my handbag and I have been reaching for it constantly throughout the day to touch-up and hydrate my lips. I am very tempted to grab the other two shades of this product, it is really SO GOOD! This is a year-round handbag essential for everyone! 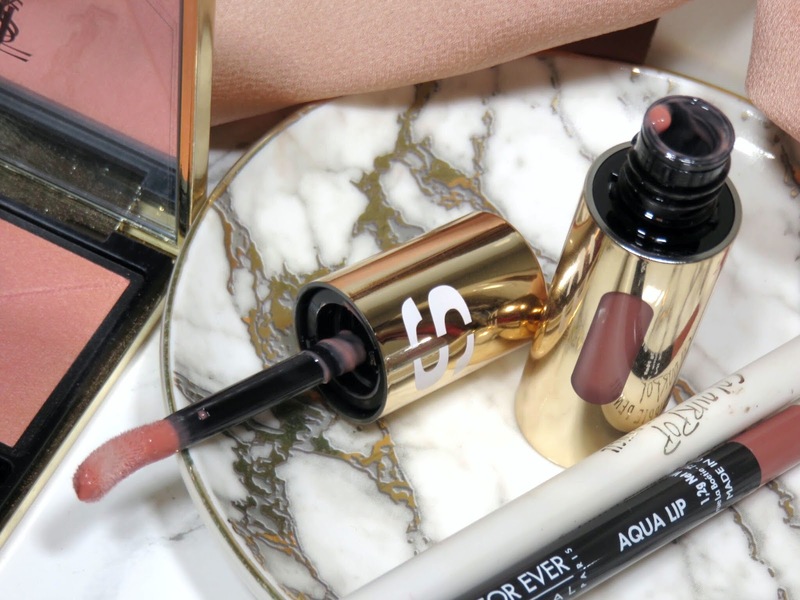 I can't imagine going back to lip balm with this beautiful and luxurious lip oil in my bag!